My four mail order APA boxes (why buy just the one) arrived this afternoon. I've put one together just for an idea of the size and area available and will start on something next week. I'm away in Northamptonshire for the weekend. My concept of Hubbard's Hills is fairly simple. The name comes from an actual pleasant little wooded valley about one mile long, just outside Louth in Lincolnshire. 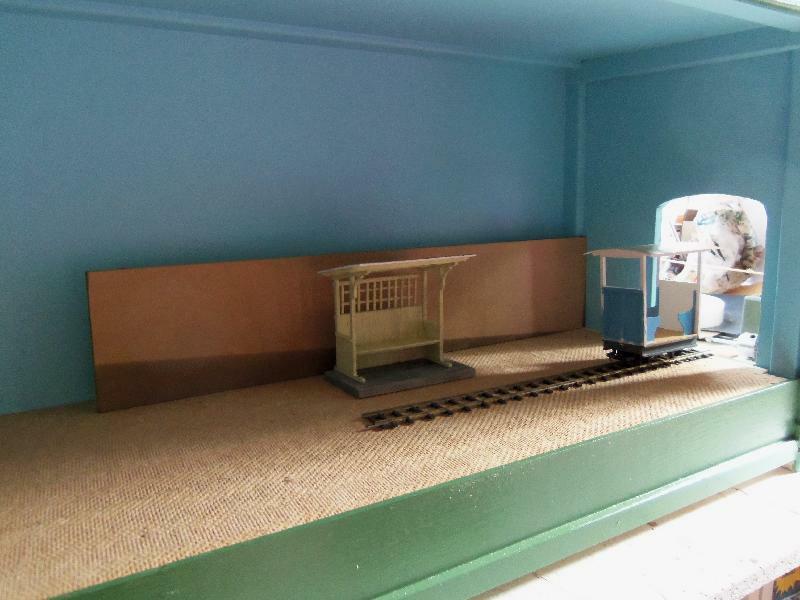 I've pinched the name, invented a Leisure Park style miniature railway, and am going to set up four scenes along the route. 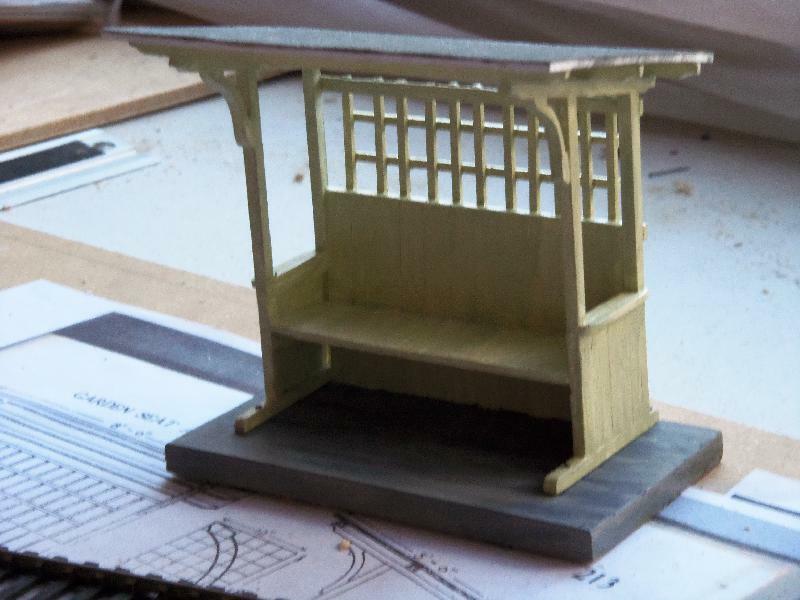 The first will be 'Tennis Court Station', and is a straight through single line with platform and shelter. The tennis court itself will be behind a large brick wall at the back, reached by a gate in the wall. So far that's it. I have the shelter built, a coach under way, but as yet no motive power or population. a small 4 wheel coach is currently on the workbench. I must admit, I chickened out on putting the storage cupboards under the seat. The idea is that this shelter sits in front of a high wall, over which you can just see the netting round the tennis court that stops high balls escaping. A short gravel platform, assorted plant life and statuary, and a signpost to other 'amenities'. There has been progress, of sorts. The base is made, a box cut about, put together and painted, and a piece of Peco settrack has had some sleepers removed. I've now got to wire up ready to fix the board in place, but this has to wait till I go into town for the 'gubbins', probably friday. The piece of MDF at the back is to become the wall of the tennis court, and will have the platform running from the end of the box to the gate. I plan various large shrubs to cover corners and gaps. The coach needs seat slats and the rest of the painting finished. I like that station shelter. Where did you come across the drawings. ian holmes wrote: I like that station shelter. Where did you come across the drawings. 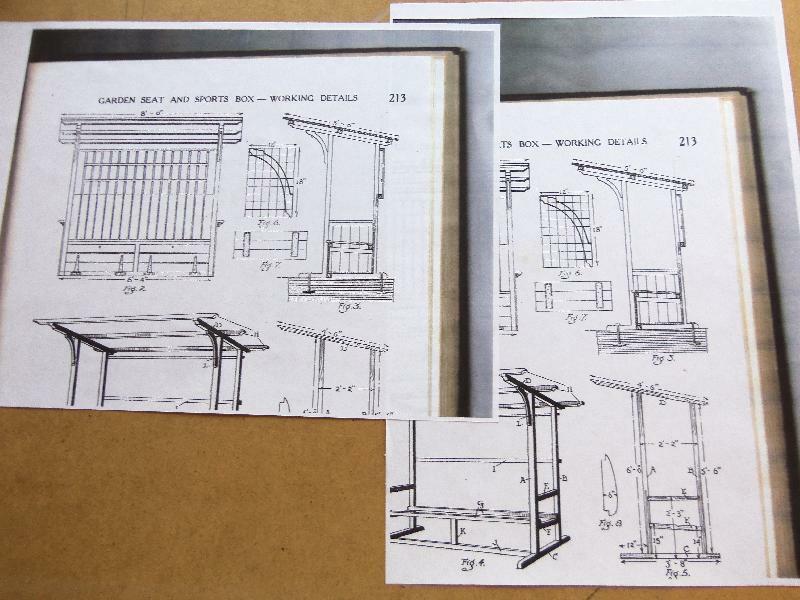 I have an extensive collection of volumes of "Woodworker" magazine, from the early 1930s to 50s, and some of them contain designs for garden sheds and shelters such as this. I missed out the underseat storage cupboards for tennis raquets, etc. Unfortunately the box (plus two unstarted ones) languishes on a shelf in the shed. I must get on with it, but other projects jump in. Hubbards Hills (the real one) has a legend of a haunted shelter. Not sure what I can do with that. Interests: Gn15: Love it or leave it ! Nice work, cool and interesting. I will watch this thread with great interest ! I'm free to do what I want anytime ! Unfortunately the box has sat on a shelf in the shed, slowly accumulating detritus, for a while more. A 'proper' layout and a couple of model boats have had priority. I may get round to more work on it during the winter months when I can bring bits indoors to work on. Thanks. See it in winter ! OK. I've dug the box out from the pile of (useful one day) tat that covered it, and started thinking it back to life. 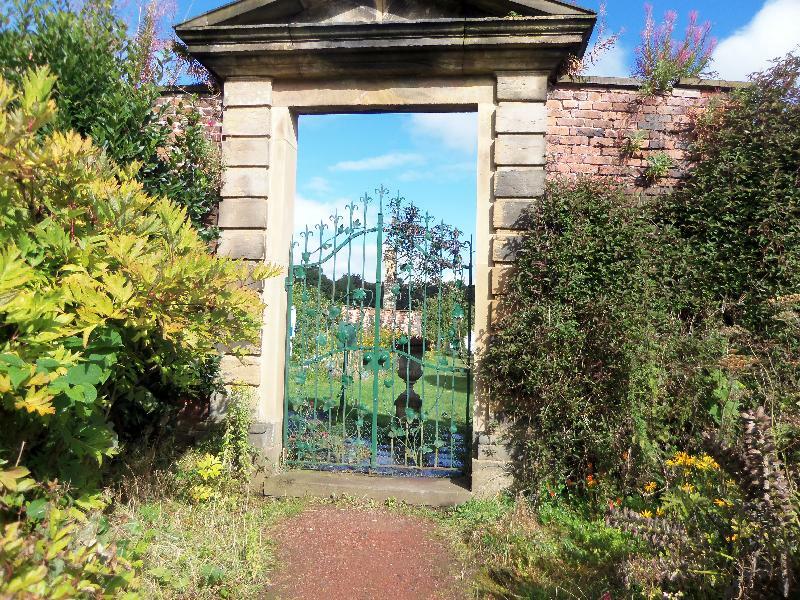 Before I get stuck in, though, I need a (scale) six foot wrought iron garden gate. I may have to fabricate one, but does anyone know of a source for that type of thing?. ijopson wrote: OK. I've dug the box out from the pile of (useful one day) tat that covered it, and started thinking it back to life. Before I get stuck in, though, I need a (scale) six foot wrought iron garden gate. I may have to fabricate one, but does anyone know of a source for that type of thing?. BUT as you'll note no longer available! I do have one that I'm unlikely to use however I paid £15 for it. 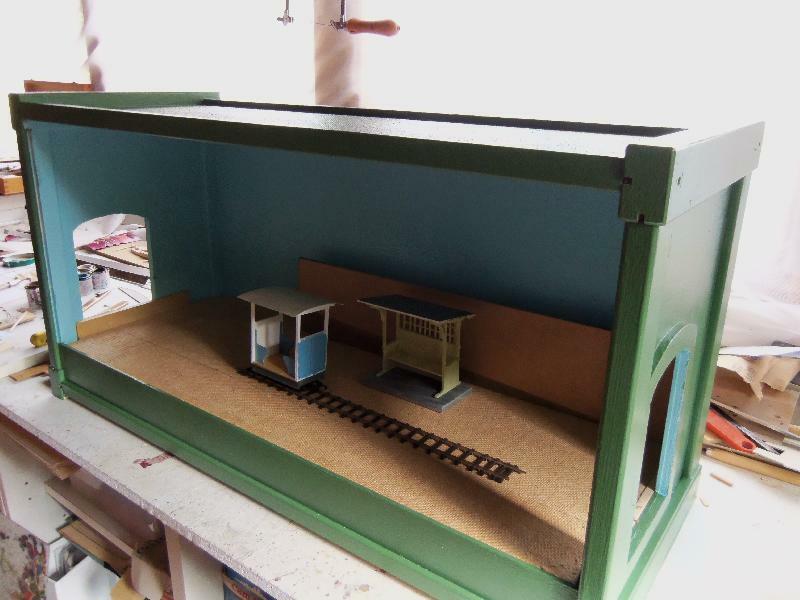 There are plenty of brass gates in 0 scale however I think the only source in 1/24th or thereabouts would be the half scale Doll's house fraternity. The Gate is 70mm wide between the posts. As Model Power have now gone out of business suggest buying now. Although a little too late for the pair of Model Power's new DCC-ready HO scale GP20 locos which I'd had on pre-order at our itty-itty-bitty local/regional hobby shop, River Eagle Hobbies, which is about 1/10 the size it was before economy crashed. So, essentially what happened in the end was the banksters who refused to work with Model Power took away a week's worth of groceries from Mike and Mary with my and other Model Power orders which could not then be produced and fulfilled. Lemax has several fences, you need to check the measurements for them though. They don't list a 'scale', just height x width x length.